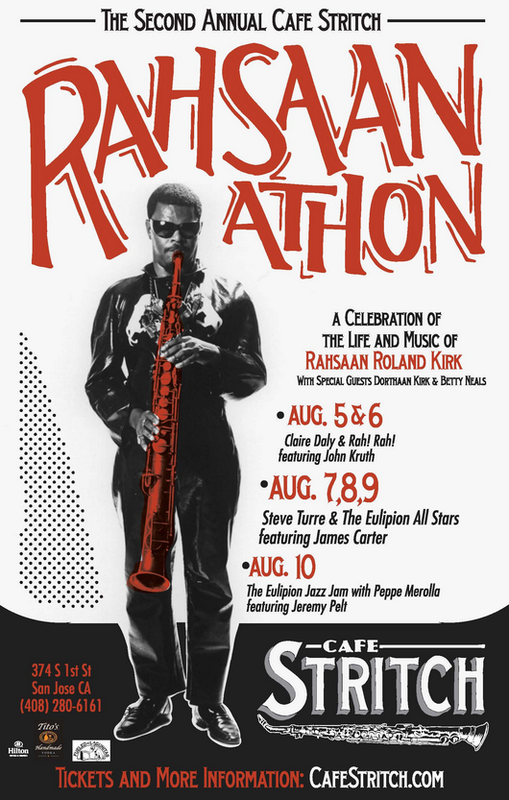 San Jose, CA – San Jose’s Cafe Stritch is proud to present a celebration of the life and music of Rahsaan Roland Kirk from Tuesday, August 5 through Sunday, August 10. To begin the festivities on August 5 and 6, Rahsaan biographer and multi-instrumentalist John Kruth and Rahsaan’s collaborator Betty Neals will be featured. They will join New York baritone saxophonist Claire Daly performing material from Daly’s recent Rahsaan tribute album “Rah!Rah!” with local masters Akira Tana on drums and John Wiitala on bass. The RAHSAANATHON’S main event is three nights with trombonist Steve Turre & The Eulipion All Stars, featuring James Carter. This ensemble will be reprising their three-night stand from last year---this time with renowned James Carter on reeds and flute. The group will be performing Turre’s arrangements of Kirk’s music August 7 (Rahsaan’s Birthday), August 8 and August 9. Poet Betty Neals, who co-wrote “Theme for the Eulipions”, the house anthem of Cafe Stritch, will perform the song live with the band. The band includes: Charles McNeal (alto sax), Matt Clark (piano), Marcus Shelby (upright bass), Darrell Green (drums), and Terrie Odabi (vocals). 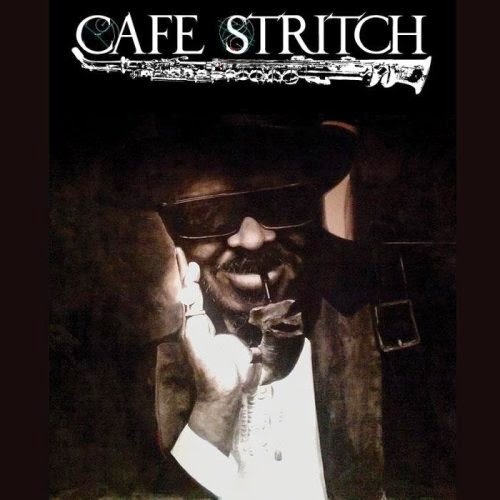 A very special edition of the Cafe Stritch Weekly Eulipions Jazz Jam will close out the week with bandleader Peppe Merolla (drums) being joined by the great Jeremy Pelt (trumpet) along with Matt Clark (piano) and Michael Zisman (upright bass). The night will include the band performing songs from Rahsaan’s The Return of the 5,000 Lb. Man as well as originals. Because this is the Sunday of the San Jose Jazz Summer Fest, the jam might include other world-class players in town for the festival. Claire Daly and Rah! Rah!